Age Explain: What Is Tinnitus, That Ringing In Your Ear? It seems we’re all bombarded these days with what amounts to noise pollution: whether excess noise on the street, screeching pop-ups on our computers or other unwanted sounds that constantly annoy us. But many of us suffer from something more specific: something called Tinnitus, which is a sound in our head that doesn’t come from an external source. It can be a buzzing, ringing or whirling sound, either constant or intermittent, and nothing we seem to do can make it go away. 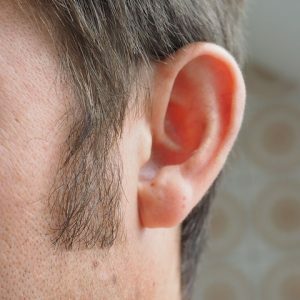 In fact, once you seek out a doctor for this (and you should, as it’s a condition strongly associated with hearing loss) you may find that what you have is common and potentially chronic, without easy remedies or solutions. Sometimes the only way to make the sound go away is with behavioral modifications. To better understand this condition, take a look Here. And sometimes, the best way to deal with it is to distract yourself with other external sounds. So, to consider some headphones that may help with this strategy, check out these recommendations Here.